For over twenty five years, I have studied, researched and investigated a variety of non-traditional approaches to health and well being. I discovered many that were effective and scientifically documented, and incorporated them into my practice. These therapies and techniques that helped my patients, friends and family members to not only reduce their symptoms, and also significantly improved their health. 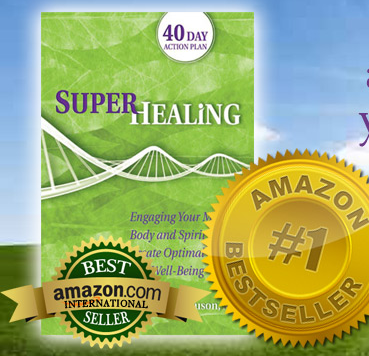 I’ve practiced holistic medicine for almost three decades. During that time, I’ve treated thousands of patients with many techniques and therapies, with numerous successes. I noticed a pattern, a significant difference between the patients that got well and those who showed minimal, if any improvement. In 1990, I wrote a book on holistic medicine Healing, Health and Transformation: New Frontiers in Medicine that was widely acclaimed by the luminaries and leading experts at that time in the field, including Deepak Chopra, MD, Larry Dossey, MD and the late Elizabeth Kubler-Ross, MD, author of Death and Dying. I taught courses on Psychoneuroimmunology (about the mind/body connection), while I was a faculty member of one of our nation’s first graduate training programs in holistic health at DePaul University in Chicago. And was a faculty member at Roosevelt University, also. During the late ‘90s and first years of the new millennium, I wrote a column for Alternative Medicine Digest magazine. My topic, Spirituality and Health was a reader favorite for several years. I’ve testified before Congress, lectured at international health conventions and medical schools. I’ve also appeared on numerous national television and radio programs, lectured at colleges and medical schools, and served as a consultant to businesses, and health care companies, a speaker at many health conventions and have been featured in many magazines. My alma mater, Brown University, even honored me with a community service award in my name. More recently in 1999 I founded an alternative medicine health care company as its first medical director that provided primary care services to the members of a one of the largest managed care companies in Illinois, with other programs in Pennsylvania, Indiana, Iowa , Wisconsin and Florida. Our results, using a combination of alternative and traditional medicine were amazing, in terms of the health improvement of our members and significant cost savings, primarily through reduced hospitalization rates. To this end, during the last ten years has been to develop a multimedia system of health information products for hospitalized and seriously ill persons, to provide them with the most comprehensive system ever created that will help them to improve their health, get well, leave the hospital sooner, and feel better faster!